Do you ever crave a really good sandwich? I know I do, and so does my husband. Sandwiches can be a very simple thing if needed: something to whip up fast when you don't feel inspired or have the time for something more substantial. A couple slices of bread, a few slices of meat, some lettuce, mayo or mustard and voila...lunch in about 5 minutes. It hits the spot, although it can feel a bit boring if you repeat this pattern too much. With a little time and attention, a sandwich can be elevated to something spectacular, which is what I strove for with this "ultimate" club sandwich. 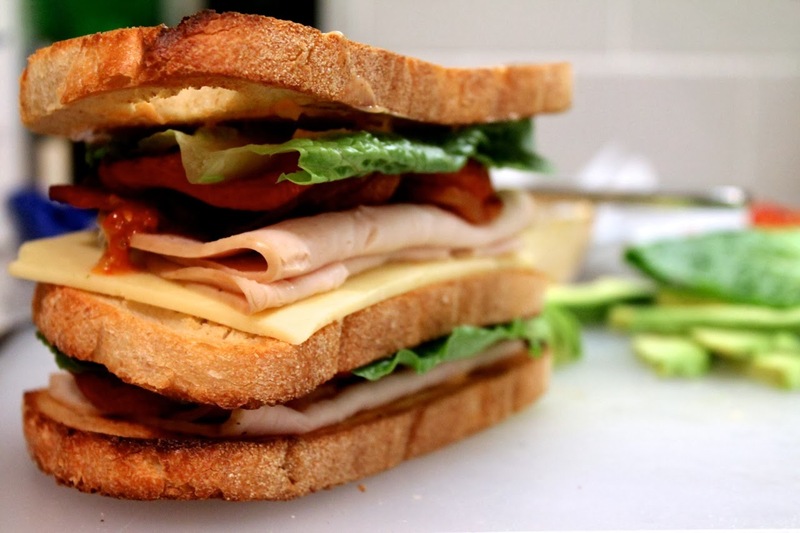 Club sandwiches have been around since the late 19th Century. Like a lot of foods that date back that far, there is a certain lack of clarity around its origins, although most sources peg it to a "gentlemen only" Saratoga Springs clubhouse. Linda Stradley has a nice article about the sandwich's history for What's Cooking America. For my "ultimate" version I wanted something very flavorful that plays up the best of what a club sandwich can be. The classic club is a double-decker sandwich of three slices of toasted bread, turkey and bacon, lettuce, tomato and mayonnaise. From there, you might see club sandwiches with chicken instead of turkey or ham instead of (or in addition to) bacon, plus different condiments. 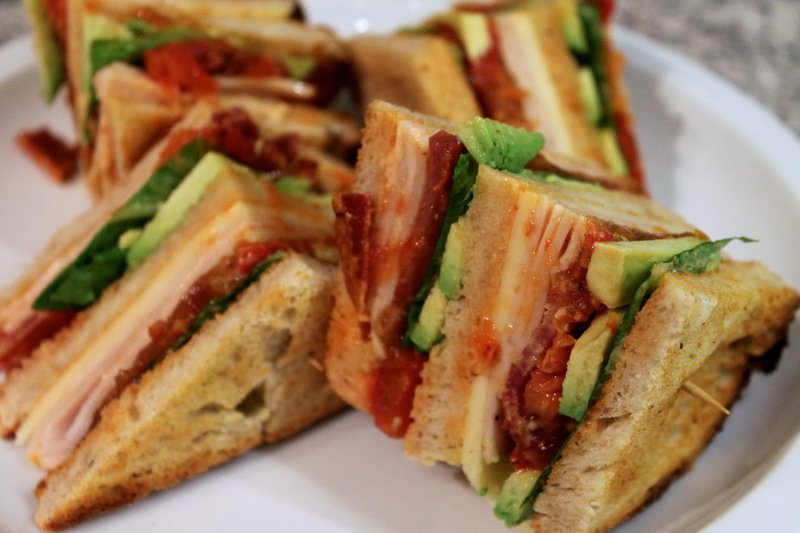 One adaptation I'm particularly fond of is the California club, which adds slices of avocado to the traditional sandwich, a welcome addition that goes nicely with the bacon and turkey. Cheese may or may not go into a club. Being as it is early March, good tomatoes are still months away, so I roasted tomato slices to bring out their deep flavors. For roasting the tomato slices, I set a wire cooling rack inside a sheet pan. This allows air to circulate around the tomatoes and liquid to drip off them as they roast. You may notice that I also put a Silpat down. That's because the acid in tomatoes can damage aluminum sheet pans (this particular pan actually has a lovely pattern on it now from roasting tomatoes on it once without using a Silpat or parchment; don't use aluminum foil, lest the aluminum dissolved by the tomato acid ends up in your food). I adopted the stylings of the California club and added additional Southwestern influences: Monterey jack cheese and some chipotle chili powder to spice up the mayo. A little smoked paprika gave it some additional smoky flavor without more heat. 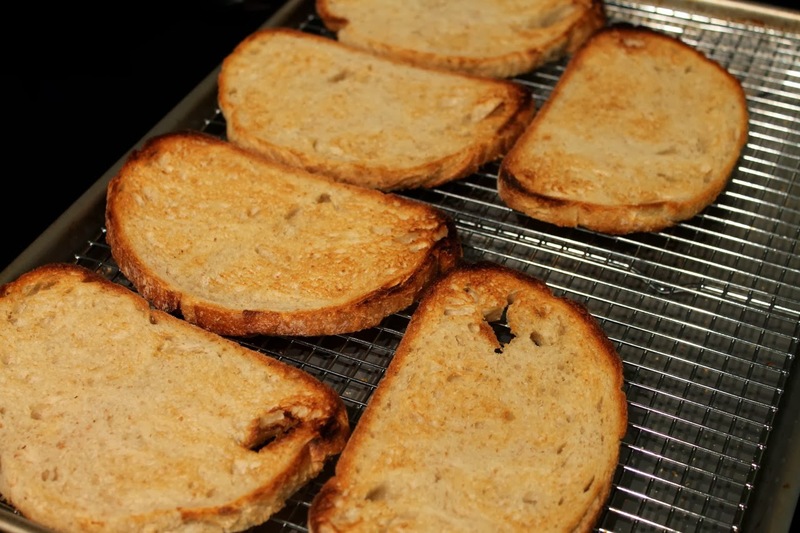 Rather than a plain white bread, I used sourdough, which is my favorite bread. The last important step in a club sandwich is the presentation. Because the sandwich is so large, it's generally cut into fourths to make it easier to eat and toothpicks hold the many layers together. A tip on this: put the toothpicks in the sandwich first, then cut it into fourths, reducing the tendency of the ingredients to shift around while cutting. 1. Preheat oven to 300 F. Cut the ends off the tomatoes, then slice each tomato into three rounds. 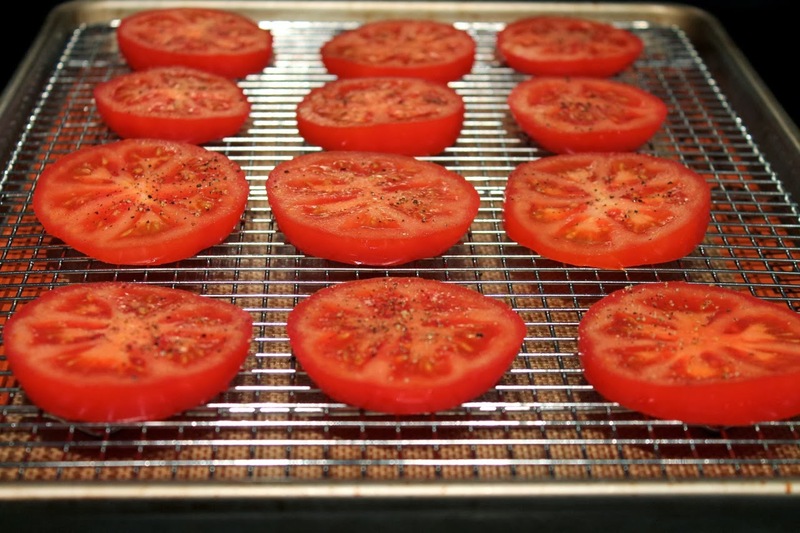 Place the tomato slices on a wire cooling rack that fits inside a standard half-sheet pan (13 x 18). Spray tomato slices with olive oil spray and sprinkle with salt and pepper. 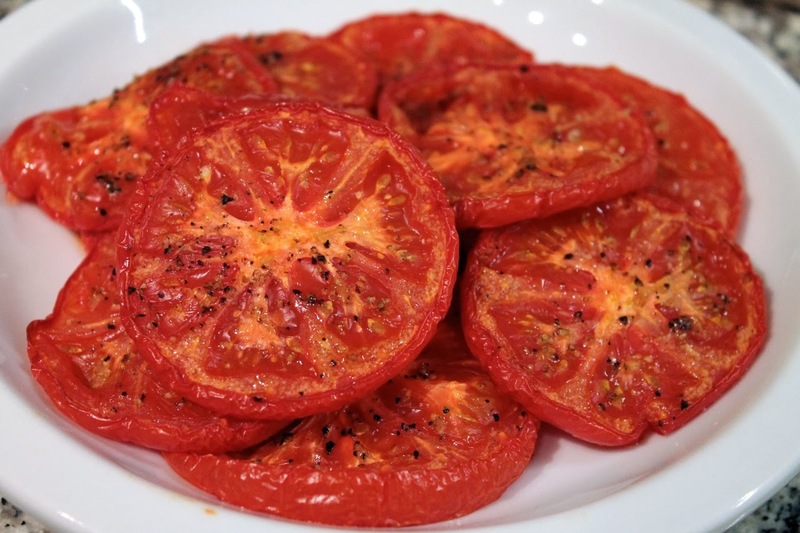 Roast tomatoes until they become a bit shriveled and visibly dried out on the surface, about 75 to 80 minutes. Remove from the rack and set aside. 2. 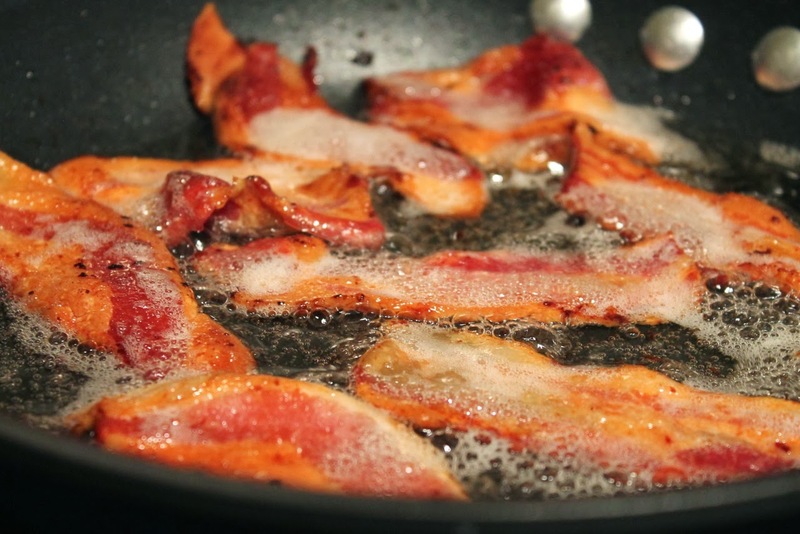 Cook the bacon in a frying pan over medium heat until browned and crisp. Remove cooked bacon and set aside on paper towels. 3. Heat the oven broiler. Place the bread slices on the cooling rack fit into the baking sheet (you might want to wash it first if there's tomato residue on it). Broil until toasted on one side, 2-3 minutes (watch carefully, it will burn fast), then flip the bread over and toast the other side, about another 2 minutes. 4. 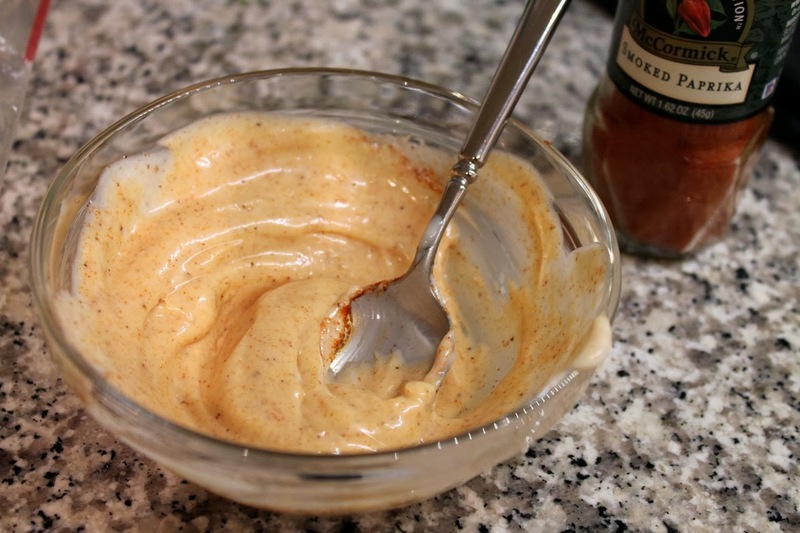 In a small bowl, stir together mayonnaise, chipotle chili powder and smoked paprika. 5. Assemble the sandwiches: Start with the first piece of toast. Spread with mayonnaise. Top with a couple slices of turkey and a couple strips of bacon. 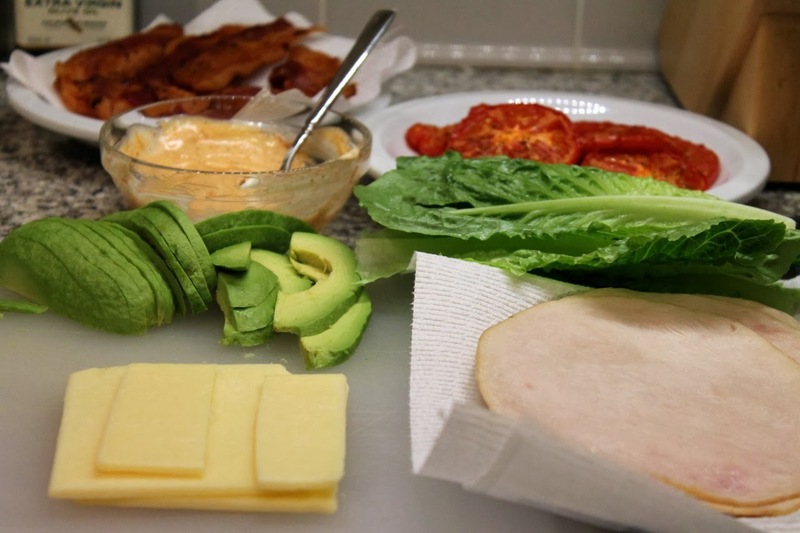 Add a couple roasted tomato slices, a few avocado slices, a piece of romaine lettuce and a slice of cheese. Spread mayonnaise on the second piece of toast and place on top. Repeat layers of turkey, bacon, tomatoes, avocado, lettuce and cheese. Spread mayonnaise on the third piece of toast and place on top. Anchor the sandwich with four toothpicks (plan ahead to place a toothpick in each fourth), then cut into fourths (triangles rather than squares are preferable). Repeat with the other sandwich. The club is my favorite sandwich and your "ultimate" version definitely lives up to its name. You may have roasted the tomatoes out of wintertime necessity, but wow, what a great innovation!